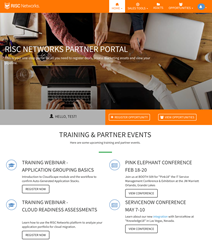 RISC Networks announces its updated award-winning Partner Program and launch of the new Partner Portal to help current and prospective partners with new incentives and benefits to spur recurring value. The Partner Portal, coupled with the update of the program improves partners' operations with co-brandable assets, sales pipeline views, training certification courses and more. Since RISC Networks’ inception, we have acquired hundreds of partners who have contributed to the success of over 11,000 IT engagements. Their success is our success, and we hope to continue to assist and deliver value to end-customers by maintaining resolute relationships with our partners. 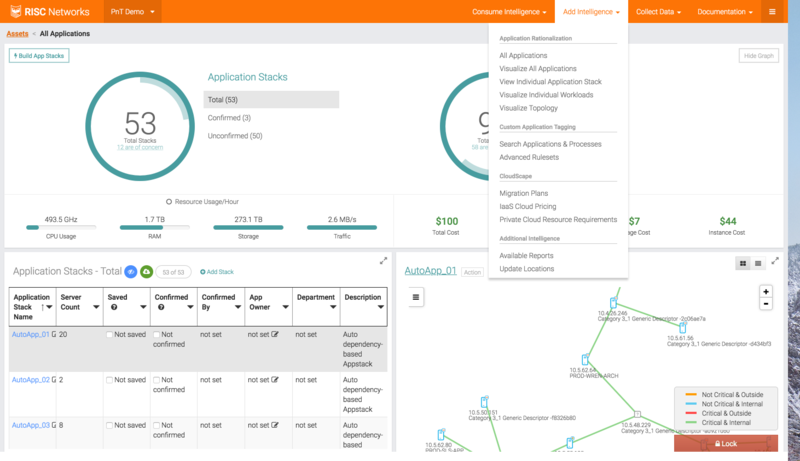 RISC Networks, a leading platform of IT discovery and analytics has released its newest partner program, including a partner relations management system powered by Impartner, the world's #1 channel management solution. To learn more about becoming a partner, visit our become-a-partner page. For over 11 years, RISC Networks has been the #1 go-to IT platform used by hundreds of partners in the global 1,000, as well as small-to-medium sized enterprises. Our program enables MSP's, VAR's and SI's who have IT service and management practices to provide higher-value services to their customers and differentiate themselves in the market. Two tiers of partnership benefits are offered: General and Exclusive. The General Partner Program benefits include the ability to control downstream invoicing, proof of concepts and access to service provider licensing. Exclusive Partner Program benefits include, "sell-with" access to our sales engineers, deal registration, partner sandbox, custom 90-minute kickoff training and a co-branded portal. These benefits are intended to provide meaningful resources to partners and contribute to the success of their organizations by adding recurring value and training. Exclusive Partner Program members will have access to the Partner Portal, which contains all Partner Program information and access. Additional features like co-branded marketing collateral, email campaigns and exclusive training and certifications are coming Q2 2018. Premier Partners like Capgemini continue to find success with RISC Networks and are early adopters of the new Portal. "Leveraging the automation of RISC Networks' CloudScape module we were able to collect insightful data we could trust and perform costing scenarios for Black & Veatch's cloud-forward strategy. The tool also accelerated our understanding of the intricacies of the Black & Veatch Environment and helped define the future state," said Jennifer Jones, Cloud Choice- Strategy and Architecture at Capgemini. The launch of the Partner Portal and enhanced Partner Program will deliver recurring value to preexisting partners, and those interested in forging a partnership with RISC Networks. These benefits aim to foster symbiotic relationships, so partners can unlock the full potential of the RISC Networks platform and contribute to the success of their customers. “Since RISC Networks’ inception, we have acquired hundreds of partners who have contributed to the success of over 11,000 IT engagements. Their success is our success, and we hope to continue to assist and deliver value to end-customers by maintaining resolute relationships with current and future partners,” said Jean-Paul Lausell, COO of RISC Networks. The implementation of the new Partner Program and Portal are designed to give partners the tools to succeed. By adding more value to the preexisting program and launching the Partner Portal, RISC Networks aims to deliver another decade of successful partnerships and develop new opportunities with prospective partners to continue to add excellent service and expertise. RISC Networks is 100% independent, platform agnostic and self-funded since 2007. The RISC Networks vision is to unlock business potential by delivering more meaningful data analysis and providing information that helps IT leaders take immediate action. 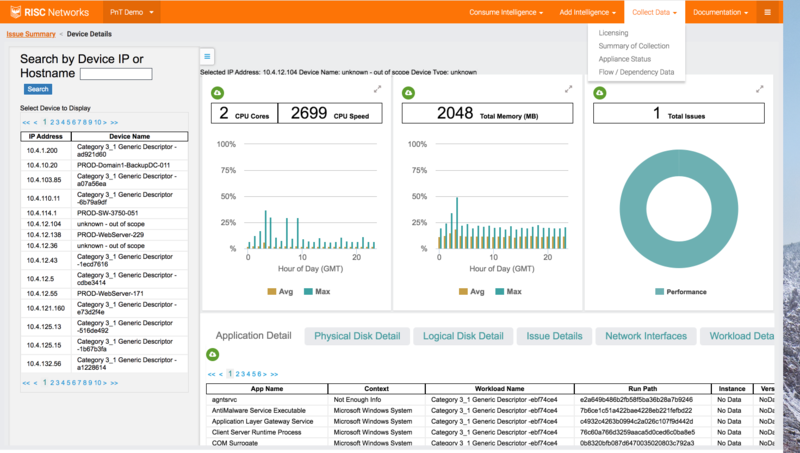 RISC Networks is the industry's leader in cloud, data center and network operations analytics with more than 11,000 analytics engagements and hundreds of industry leading solution partners. The company is headquartered in Asheville, NC. RISC Networks Foundation_ device details viewView device details with RISC Networks foundation module Application rationalization with RISC Networks Foundation module.View all applications within the Foundation module from RISC Networks.